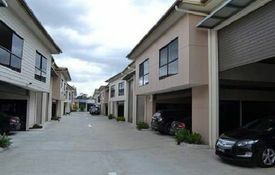 8 Commercial Real Estate & Properties in Browns Plains are listed in 5 categories. We have 5 Industrial Warehouses Sale , 3 OfficesSale , 1 Development LandsSale , 1 Retail ShopsSale and 1 Other Commercial PropertiesSale . 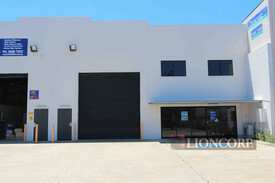 360m2 tilt panel warehouse + showroom 90m2 airconditioned offices on 2nd level Freshly painted and new carpets Electric roller door access 8 Car parks Male and female toilet and shower Kitchenette Secure fully fenced property Browns Plains is located approximately 24kms from the Brisbane CBD. The precinct provides direct access to the Mt Lindesay Highway, which in turn provides access to the Logan Motorway. Browns Plains is also a terminus for Brisbane City bus routes, making it an important transport hub connecting Logan City and Brisbane City bus routes. Browns plains office warehouse for sale 149 m2 Office warehouse with a lease office partitioning, M/F amenities, air conditioning, clear span, 3 phase power Corporate office with carpet and air conditioning. Concrete tilt panel construction with insulated ceiling Container height electric roller door Car Park in front of property plus just under 100 common car parks at the rear of the complex. Full drive around, 40 Foot Container Drop off Area. Excellent Value for money. 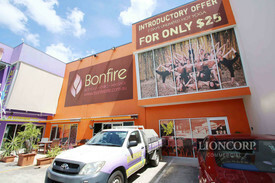 Purchase with rental return Central Browns Plains Location, near Harvey Norman, and various other national companies. Very easy access to Logan & Gateway Motorways and Mount Lindsey Highway. Location: The Browns Plains Business Area consists of: A light Industrial/Service Centre (on the Western side of the Mt Lindesay Highway) A major retail precinct The Browns Plains business precinct straddles the Mt Lindesay Highway, and is easily accessible from the Logan Motorway. For some businesses the highway road frontage provides them with optimal exposure to highway traffic. The area is a major sub regional centre that has experienced rapid growth over recent years. Land developments in the precinct have resulted in opportunities for new businesses to establish in or relocate to the area. Area: Office: 58m2 Warehouse: 91m2 Total: 149m2 Price: $330,000+GST Inspection: By appointment Address: 39/8 St Jude Court Browns Plains QLD Contact: Conan Li 0404 617 767 Email: conan.li@yong.com.au Disclaimer: We have in preparing this information used our best endeavours to ensure that the information contained herein is true and accurate, but accept no responsibility and disclaim all liability in respect of any errors, omissions, inaccuracies or misstatements that may occur. Prospective purchasers should make their own enquiries to verify the information contained herein. Description: 25m2 ground floor office area 175m2 warehouse and mezzanine area Clear span approx. 6m internal height warehouse area Presentable office with air conditioning and tiled floor Kitchen area and disabled amenities 3 Phase power Good natural light Electric container height roller door Concrete tilt panel construction 4 exclusive car spaces Alarm system, security screen Fully secured and fenced complex with camera system For Sale Now! Contact Exclusive Agent Manoli Nicolas for inspection today! 0400 082 170 Area: Office: 25m2 Warehouse: 175m2 Total: 200m2 Location: The Browns Plains Business Area consists of: A light Industrial/Service Centre (on the Western side of the Mt Lindesay Highway) A major retail precinct The Browns Plains business precinct straddles the Mt Lindesay Highway, and is easily accessible from the Logan Motorway. For some businesses the highway road frontage provides them with optimal exposure to highway traffic. The area is a major sub regional centre that has experienced rapid growth over recent years. Land developments in the precinct have resulted in opportunities for new businesses to establish in or relocate to the area. The key area strengths include: Access to major arterial roads to the North, South and West Diversity of businesses Good local amenities including sporting facilities, public library and public transport.